network, endpoints, cloud and enterprise IoT with certainty. Fidelis is the leader in automated threat detection and response. We have revolutionized data protection by delivering a fully automated and complete detection and response system designed to improve security operations by performing the tasks of a skilled analyst, threat hunter and incident responder. Engineered to deliver comprehensive visibility, alert validation and increased response across network and endpoints, the Fidelis platform creates 10-20x improvement in the effectiveness and efficiency of security operations. Fidelis Network® – Gain full network visibility across all ports and protocols, detect threats and prevent data loss. 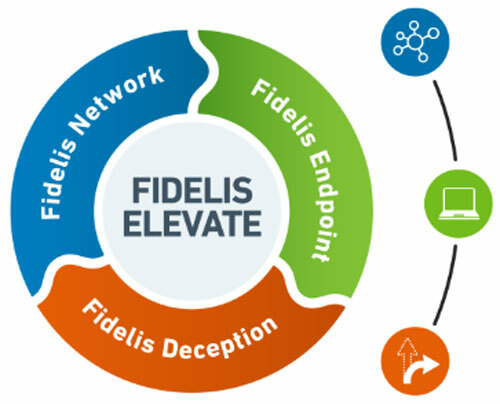 Fidelis Endpoint® – Automate Endpoint Detection & Response and Endpoint Protection – all in a single agent. Fidelis Deception™ – Map your network assets and detect post-breach attacks with automated deception layers. Fidelis Network transforms security operations, providing unprecedented network visibility combined with automated detection and response. It automatically validates and consolidates network alerts and suspicious activity against every endpoint in your network. Alerts are automatically grouped into Conclusions, eliminating alert fatigue so you can focus on detecting, investigating and stopping attackers at every stage of an attack. 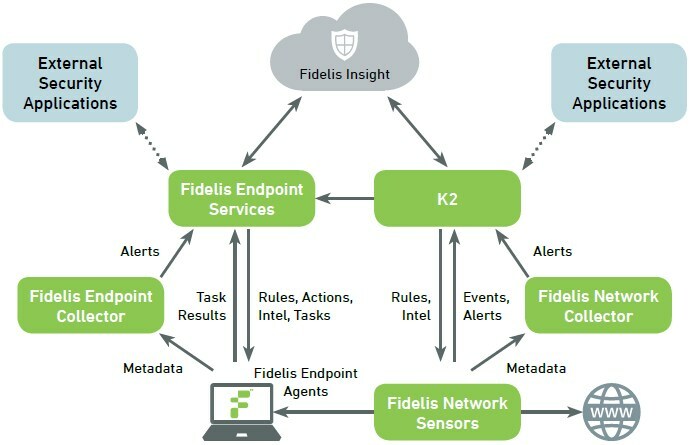 Fidelis Endpoint combines rich endpoint visibility and multiple defences with incident response workflow automation including deep interrogation and recorded playbacks reducing hours to minutes for security analysts. Fidelis Endpoint is part of an integrated automated detection and response platform running on premise or as a cloud service. Fidelis Deception provides a new detection defence for post breach attacks and file-less endpoint attacks with high fidelity alerts and low false positives alongside visibility of ‘east-west’ lateral movement. Deception reverses roles with attackers providing realistic decoy and breadcrumb deception defences to lure, detect and defend with no risk to operations, data or resources. Automation provides continuous discovery of networks and assets to create, deploy and maintain decoy’s and breadcrumbs. Let’s talk about how we can help you drive your business transformation.